WESTERVILLE, Ohio — Election results are in. Political fliers no longer blanket mailboxes, and robo calls have ground to a halt. “Lame duck” has become the phrase of the hour. 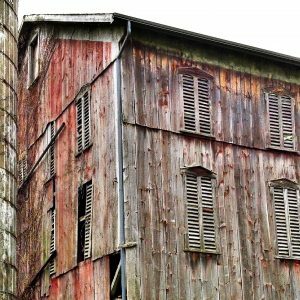 For a group of central Ohio teenagers, however, it is time to get civically engaged once again — and talk about barns. The brainchild of five seventh graders about five years ago, that one-sentence proposal unanimously passed the House of Representatives in March 2017. It has since stalled in the Senate. 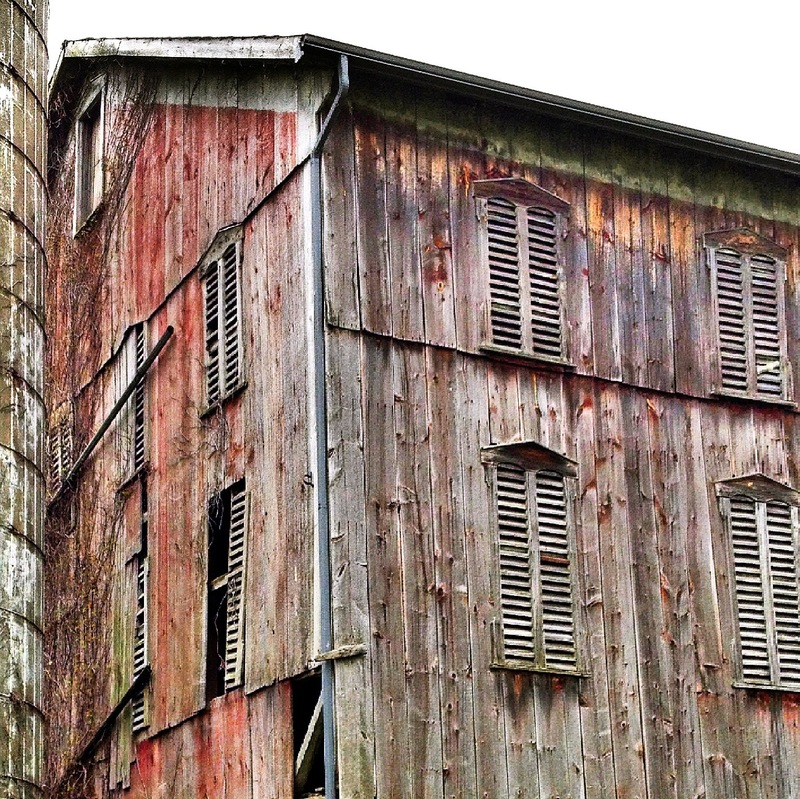 The passion for barns began when the students at Genoa Middle School, in the Columbus suburb of Westerville, were given an assignment by their teacher, Debbie Pellington: propose a new symbol for the state of Ohio. They met with Rep. Anne Gonzales, R-Westerville, to learn about the legislative process and to prepare. Students suggested numerous ideas. But, for one group, the project became more than just a grade. Sarah Gellner, Anna Borders, Rachel Kaufman and Adriane Thompson began to build their idea to make the barn a state symbol. Another student, Danielle Ingram, also helped with the initial idea. They researched the history of barns in Ohio. They tweaked the language of their proposal. With the help of their teachers, Pellington and Caley Nestor Baker, their seventh-grade social studies teacher at the time, as well as Gonzales, they submitted a one-sentence proposal to the Ohio House of Representatives. That began a step-by-step foray into Ohio state politics. Gellner, now 17, is a junior at Westerville Central High School. When reached by phone recently, she said she and the other girls were gearing up for another round of lobbying for their bill. Writing letters. Making calls. Over the years, they’ve taken trips to the Statehouse when necessary — and yes, they got permission slips to leave school. “Most of it has been on our own time,” Gellner said. They set up a Twitter account and a website, and worked to get the word out. They met with legislators, presented before committees and even learned how to handle negative media coverage. “We’ve been able to learn a lot about government and what it takes to pass a bill,“ Gellner said. Both Pellington and Baker still keep tabs on the bill and their former students. They said it has been rewarding to see the teens’ dedication. “It’s been great real-world experience for them,” Pellington said. Hackett chairs the Senate Agriculture Committee, where the bill stalled for more than a year. He said he thought it would pass quickly, but it didn’t. He said it has the support of both agriculture committees. Legislation can take time, Gonzales said. She said these teens have shown perseverance. Dan Troth, a board member of Friends of Ohio Barns, testified in front of the legislature, in support of the bill. It was a no-brainer, he said. By having the barn recognized in such a way, Troth believes it could open up more ways to preserve them. Agriculture remains one of Ohio’s largest industries. According to the 2017 United States Department of Agriculture survey, 14 million acres are dedicated to agriculture. The Western Reserve Land Conservancy reports, however, that Ohio has lost more prime farmland than any other state, second to Texas. Along with that loss, Troth said many historic barns are being taken down and shipped out of state. In their joint presentation before the House State and Local Government Committee in February 2017, the students laid out the reasons for recognizing the barn in such a way. 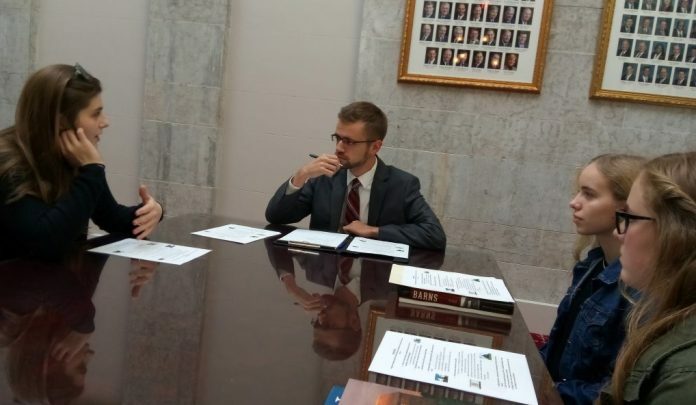 Both Pellington and Baker said they’ve both learned a lot — about the history of barns in Ohio, about the legislative process and about their students. “Now, we just really want that final step,” Pellington said. “It gives new meaning to the grinding gears of government,” Caley said. Gellner has begun looking at colleges. She said that after her first-hand experience working with the legislative branch, she is interested in being involved more in the future. Interesting. As the author of the forthcoming Geobop’s State Symbols, I can say that Ohio would be the first state to designate the barn an official state symbol. Which isn’t to say Ohioans should officially adopt the state’s barns; that’s for residents to decide, of course. As a native of South Dakota, I do have a fondness for barns, however, which link us to a time when life was so much slower and less chaotic. My book will include as series of report cards for each of the 50 states, and Ohio is among the few states that will get an A for its beautifully unique flag, though its overall grade will probably be a B – still better than most states. David I would be interested in knowing when your book comes out.